Lester Flatt, Earl Scruggs, and the Foggy Mountain Boys were an influential bluegrass band performing and recording in the 1940s, 1950s and 1960s. Flatt and Scruggs met as members of Bill Monroe's band, the Blue Grass Boys in 1946. They both left that band early in 1948, and within a few months had formed their own group, the Foggy Mountain Boys. Scruggs' banjo style and Flatt's vocals gave them a distinctive sound that won them many fans. In 1955 they became members of the Grand Ole Opry. Many of the songs on their albums are credited to "Certain and Stacey". Flatt and Scruggs met as members of Bill Monroe's band, the Blue Grass Boys in 1946. They both left that band early in 1948, and within a few months had formed their own group, the Foggy Mountain Boys. Scruggs' banjo style and Flatt's vocals gave them a distinctive sound that won them many fans. In 1955 they became members of the Grand Ole Opry. Many of the songs on their albums are credited to "Certain and Stacey". These were in fact written by Flatt and Scruggs and various other members of the Foggy Mountain Boys. Certain and Stacey are the maiden names of the wives of Flatt and Scruggs. Louise Certain, wife of Earl Scruggs and Gladys Stacey, wife of Lester Flatt. 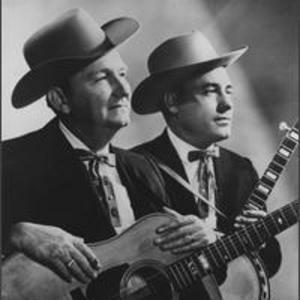 Flatt & Scruggs may be best known however as the performers of "The Ballad of Jed Clampit" the theme song from the sixties television show "The Beverly Hillbillies". Flatt & Scruggs made cameo appearances on the "The Beverly Hillbillies" as well.